Could there be another “Expendables” someday? One of its co-stars doesn’t see a reason why there shouldn’t be. Charisma Carpenter, who plays Jason Statham’s love interest in the Sly Stallone-directed blockbuster action movie, told Parade magazine that she would be interested in a possible follow-up. “I know that Sly's got some ideas thrown around in his head and I know that the numbers are really good,” she said. “So I think it would just be a matter of assembling the cast again and seeing how willing and able they were. But I don't see how they wouldn't be. I'm up for it. 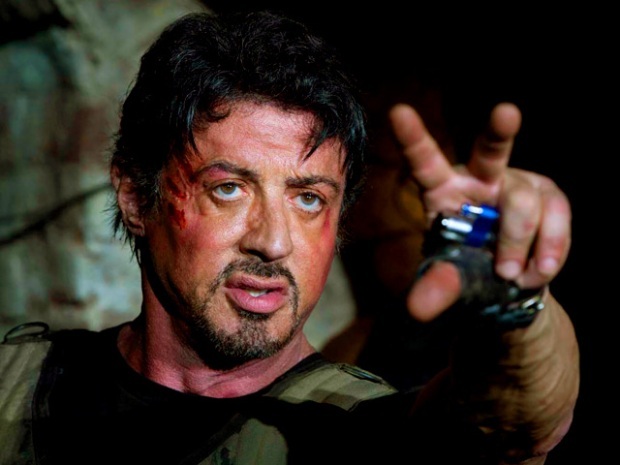 I think there's more to explore in "Expendables 2," and I'm hoping that this time I'm not the one that's the damsel and I get to assert myself and give some people black eyes myself!" The actress, 40, said she got the role of Lacy in the box office smash through a friend who referred her to Stallone. “He was having trouble casting the role of Lacy and I was suggested,” she recalled. “Then I had a meeting with Sly and I had to audition and the next day he invited me to his office at the crack of dawn and he gave me the good news." Carpenter also told Parade that Stallone was determined to rehearse during the filming. "I got a strong sense that he was rooting for me throughout the whole experience. I was surprised to see how accessible he was and how helpful he was in helping me win the part. I felt really comfortable with him." As far as a TV show that the former “Buffy the Vampire Slayer” star would love to appear on as a guest, Carpenter mentioned a currently popular TV drama set in the ‘60s. ""Mad Men" is pretty much my favorite show ever,” she said. “The only problem with playing Don's love interest is that you don't last long. But I don't know one woman who would say no to that. I also know that he's [actor Jon Hamm] incredibly loyal to his girlfriend, which makes me feel that he's that much more of a stand-up guy."